In my last article, we took a quick tour of the many, many geopolitical problems that confront President Obama. It is not possible for any man, no matter how brilliant, to dream up solutions to everything out of nothing. The only hope for successful answers is by a meticulous analysis of history; as the old Preacher said, "there is nothing new under the sun." Happily or unhappily, America's current adventure in Afghanistan has its precise analogues in the past. Having seen many cultures come and go throughout the centuries, Afghanistan has been predominantly Muslim since 1882. It is a harsh country with nearly impassable mountains and desert terrain which together have contributed to its ethnically and linguistically diverse population. Its ethnic mix constitutes yet another laboratory for measuring the predicted outcome of the current fad for celebrating "diversity." Pashtuns (or the Pashtu) are the largest political and cultural ethnic groups in the country, but the national population also consists of Tajiks, Hazara, Aimak, Uzbeks, Uyghur, Turkmen and other groups with tribal kin in both Iran and Afghanistan. In short, the country is a patchwork quilt. Loyalties are to the tribe rather than to the nation. "Afghanistan" is alarmingly artificial, which poses a political problem - the center is weak and cannot hold. Russian military involvement in Afghanistan goes back to Tsarist expansions in the so-called "Great Game" between Russia and Britain. That term is misleading because it was anything but a game: it was far too lethal to be given such a description. Neither of the powers ruled by relatives of Queen Victoria made any great or lasting impression on bandit country, accomplishing little at great cost. Soviet interest in Afghanistan was grounded in a drive to gain more warm water ports. At one stage, we intelligence analysts were talking learnedly of the state of Baluchistan being formed were the Soviet forces to be successful. We all tended to regard their prospects as slight, despite 20th century weaponry and modern armed forces being deployed against basically tribal fighters. Military "assistance" to Afghan governments had commenced in the 1950s, but corruption and refusal to take direction made for unhappy alliances as in the days of Rudyard Kipling. Very few recall the names of Afghan Premiers after the involuntary expulsion of the Afghan King Mohammed Zahir Shah in 1973. For some years, the Marxist People's Democratic Party of Afghanistan (PDPA) attempted to reform the feudal countryside against resistance from the local people, especially in the Panjshir Valley, a largely Pashtun area where there were many savage battles. The area was never subdued. Attempts at land reform, changes to marriage customs and other so-called attempts at modernization affected peasant, landlord, trader and clergy alike and were resisted. The PDPA split along basically tribal lines between two major factions, the Khalq (Masses) and the Parcham (The Flag). The country was ungovernable and Soviet style reforms were unacceptable. As a consequence, the country was plunged into a civil war. Afghanistan officially became the Democratic Republic of Afghanistan in 1978 after a coup backed by the Army which resulted in the murder of the then Prime Minister Mohammed Daoud Khan and his replacement by Nur Mohammed Taraki, leader of the Khalq faction. Significant power resided with two notorious leaders from the Parcham faction -- Babrak Karmal and Mohammed Najibullah, many of whose followers were executed or exiled. The new government, such as it was, inherited an all-too-familiar insurgency and the Afghan army was never a match for the resistance forces. Requests were made to Moscow for military assistance. After some procrastination, Soviet military forces arrived in mid-1979, a decision made at the senior levels of the Kremlin by the Soviet leader Leonid Brezhnev. The deployment was enacted by the influential figures of KGB chairman Yuri Andropov; Boris Ponomarev, head of the influential International Department of the Central Committee of the Communist Party; and Defense Minister Dmitry Ustinov, a party hack in uniform. As a true military man should have expected, things went badly. In September 1979, Taraki was killed in a Palace shoot-out and replaced by the then Deputy Prime Minister Hafizullah Amin, who proceeded to try to "Pashtunise" the country, which in the finest traditions of Afghan politics earned him more enemies; he quickly became the object of suspicion and rumor. By December 1979, a little short of six months later, the Soviets were convinced that Amin was corrupt, ineffective, and seeking relations with China and Pakistan. The more paranoid believed that Amin was a CIA agent. Their solution was storming of the Premier's palace by Soviet Special Forces, ostensibly by the KGB OSNAZ (Alpha Group). With the subsequent installation of Babrak Karmal as the new leader, Soviet intervention became nothing less than a fully-fledged invasion, despite massive propaganda efforts to the contrary. The military incursion was accompanied by air raids and full assaults but it appears that the Soviet hold was at best precarious. As the history books now show, they were no more successful in 1979 than the Tsarist forces had been in the 1890s, despite overwhelming and unchallenged air superiority. The Afghans learned very early on about missiles launched from high-flying aircraft, land mines dropped in the guise of toys for children, and especially the appearance of helicopter gunships armed with rockets and high-rate machine guns. In the early days of the revolt, those who became known as the mujahedin were fragmented and tribally based. Their basic weapon was the antiquated Lee Enfield .303 rifle. Some had been reverse-engineered across the various countries of the subcontinent and could hardly be described as reliable. I know from personal experience and use that they are heavy, with a kick like a mule; a limited box magazine containing about five rounds with "one up the spout" as the old sweats used to say. On the other side was one of the most potent helicopter gunships in the world at the time, the MI-24 "Hind" (NATO designation, Hound). Though formidable in its preferred habitat of the Eastern European steppes, it had a very limited service ceiling and could not fly over the mountains fully-armed and fueled; snipers could climb higher. The weakest points of any attack helicopter are the pilot's canopy, the tail rotor and the top of the fuselage, so it was comparatively easy for mujahedin marksmen to inflict a significant toll on helicopters by occupying the heights and shooting down. Slate magazine recently posed the question: "Can you shoot down a helicopter with a pistol?" The answer is of course in the affirmative, as the mujahedin happily demonstrated on a daily basis. Babrak Karmal lasted longer than his predecessor but was replaced in 1986 by Mohammed Najibullah. This was a relatively peaceful succession; Karmal obtained exile and residence in the USSR. With Soviet assistance, some of the fiercest fighting in the conflict took place during the period of Najibullah's rule. He survived the Soviet withdrawal but presided over a disintegrating and failed state. With the advent of the Taliban, his time ran out -- he was brutally beaten and murdered and his corpse hanged in public in Kabul in 1990. Needless to say, the brutality of the event was described as justified by various mullahs. Reading a standard history book, it's easy to get the impression that we "know" the facts of the past. As an experienced intelligence officer used to analyzing classified documents and secret intercepts, I can tell you this is far from the truth. There are so many players in geopolitics, each with their own strengths and weaknesses as well as public and private objectives, that it is almost impossible to conclusively determine the cause of a historic event. The Soviets were suckered into intervening in Afghanistan by elements of the Reagan administration. This adventure, along with trying to maintain parity with US military power, bankrupted their system economically, financially and morally. Russia had to fall - kick in the door and the whole rotten structure disintegrates. This well-documented notion is beloved of neocons and Wikipedia (strange bedfellows). A concomitant theme is the arming of Afghan tribes opposed to the Soviets by the CIA and by the Pakistani Inter Services Intelligence (ISI). Documents released from Soviet archives to the Internet reveal that Mikhail Gorbachev was a genuine reformer unlike the tyrants and despots who preceded him. He deserves better treatment by history and mankind. These accounts assert that the USSR was lured into supporting an unpopular regime in Afghanistan by a cabal of Leonid Brezhnev, Yuri Andropov, Dimitry Ustinov and Boris Ponomarev. The NSA archives reveal Gorbachev's distaste for their adventure because of its effects on the Soviet Union and on his desire to push ahead with perestroika and glasnost. It has been noted that KGB advice on the incursion into Afghanistan overrode that of Soviet military intelligence (GRU) which was more knowledgeable about demographics, geography, and dealing with feudal tribes. Afghanistan was an artificial state as mentioned earlier. The Soviet experience in dealing with tribes, who accept aid from both the the Soviets and the mujahidin and turned on each other with their usual gusto, has important consequences for current US policy. The mujahidin were never a united fighting force and had very different objectives from the state after the exit of the Soviet forces. This took the form of a bloody end to the regime of Najibullah; a weakened central government and finally the rule of the Taliban, in its turn brought to a violent end by US and allied forces in 2001. As for future US policy in Afghanistan, that country must be considered gravely weakened. Recent events have shown it to be poorly governed and wide-open to terrorism. Afghan terrorism is of the home-grown variety, and as such brings many years of accumulated exertise in guerrilla activity to the current battleground: objectives may vary but their common foe is the Western Allies, while quietly eliminating domestic opposition. Neighboring Pakistan is a fragile, almost failed state, where the central government and its intelligence service, the ISI have a troubled, vexatious history. The attack on on a mosque near the Khyber Pass on March 27 claimed the lives of 76 people, including security forces. There has been some speculation that it represented an internecine feud between jihadists but it can also be seen as a calculated assault on the government of Pakistan and an attempt to undermine and delegitimise the President. An entity described as the Pakistan Taliban has proclaimed itself as the perpetrator, while other views suggest the involvement of the LeT in the form of follow-up to the Mumbai bombings of November 2008 and the attack on the Sri Lankan cricket team in Lahore on March 3 this year. As part of the axis of instability where national boundaries are more arbitrary than real, Afghanistan cannot be considered in isolation. There has been debate in the media about whether Pakistan is a failed state. Even though it is a US ally for the moment, areas of the countryside are now governed by the Taliban and Sharia law has been introduced, events which are hardly likely to create an end result beneficial to America. 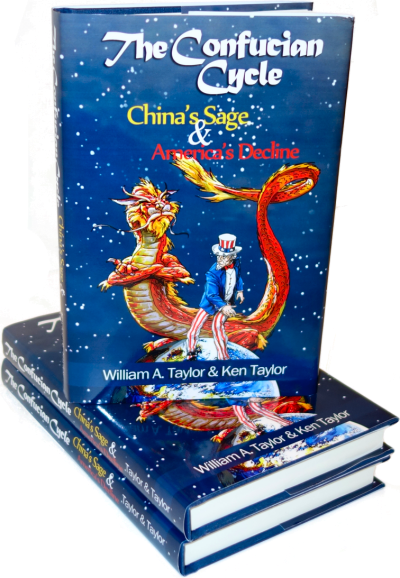 A new American President facing an international economic crisis that we were constantly assured would never occur again faces enormous problems with foreign debt and domestic problems that could spill over into violence and upheaval. The President also has his hands full with problems in the Middle East, including Gaza and Iraq; reaching out to the ayatollahs in Tehran, and dealing with the Russian leadership - all of which have been tried before ad nauseum. In some respects, it would be a fine thing to be able to quote a great British statesman who said at a critical point in World War II, "This is not the end. It is not even the beginning of the end. But it is, perhaps, the end of the beginning." Many anxious people will be looking at Mr. Obama with great interest in the weeks to come. Unfortunately, thus far it seems that he is more interested in repeating the lessons of history than in learning them. Can You Shoot Down a Helicopter With a Pistol? So Mr. Marlowe, do you believe that Obama should withdraw from Afghanistan and let it collapse into feuding warlordism? It sounds like you are saying Afghanistan cannot be won. Is there a solution? Please live up to your name. Your questions are being addressed but keep coming back and you will find answers. Whether you like what you hear is, of course, entirely your responsibility. I will say at this stage that I don't think the US & Allies should pull out but that is a simplistic and very short reply.